JNEC.a ransomware is a new malware string that was recently discovered by security researchers at 360 Threat Intelligence Center. 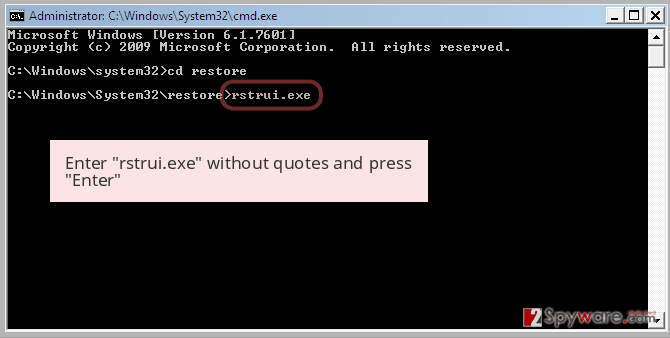 Written in the .NET programming language, the malware takes advantage of a WinRAR vulnerability to spread. The threat uses a sophisticated encryption algorithm to comprehensively lock personal pictures, databases, documents, spreadsheets, and other files and then appends a .Jnec extension, preventing users from operating any of the data located on the PC. 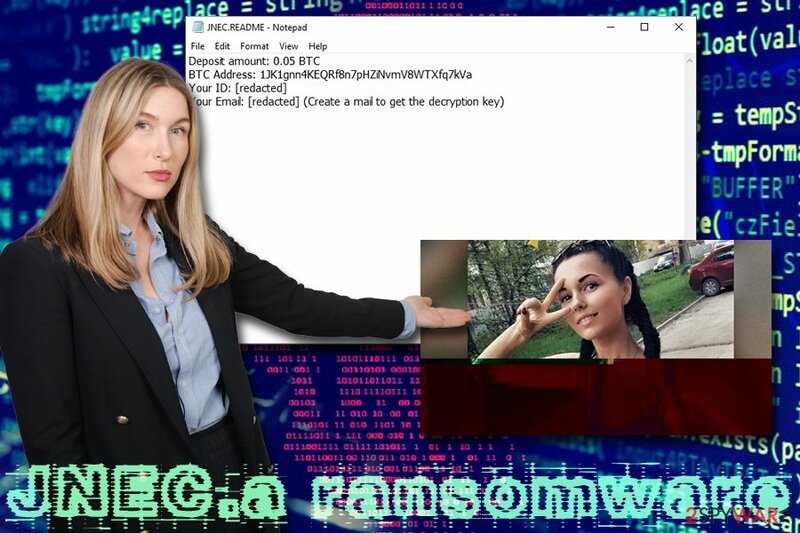 JNEC.a virus then drops a pop-up window with basic information, such as the number of files encrypted, ransom size (0.05 BTC), the Bitcoin wallet and a generated email address that the victim needs to create on Gmail web service, which will allow the attackers to send the alleged decryptor through. Nevertheless, excessive research of the virus showed that even authors of JNEC.a ransomware would not be able to decrypt locked files, so paying ransom is completely pointless. 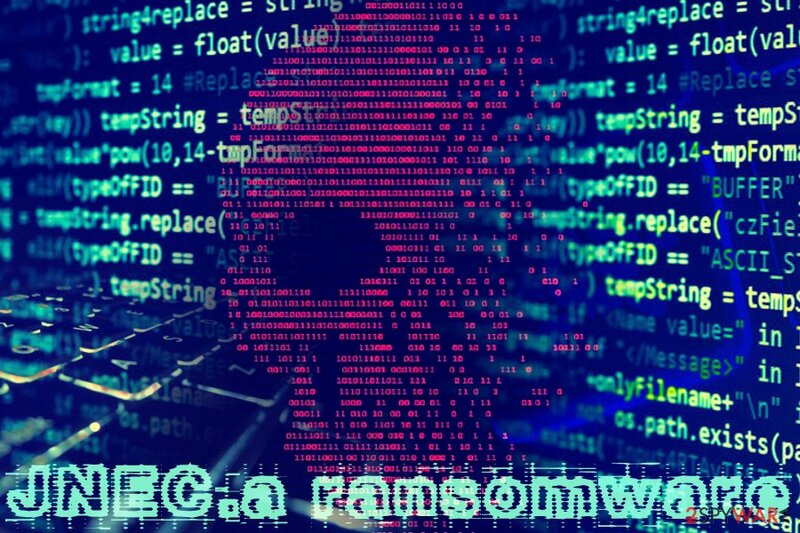 Ransomware viruses generate the ID of the victim individually, which is ten consequently tied to a unique decryption key, stored on a remote server. JNEC.a virus authors ask users to create the Gmail account using this ID, where they allegedly would receive the decryptor to. Therefore, to remove JNEC.a ransomware, you should employ one of the tools that can detect the threat. Afterward, we recommend scanning your device with Reimage to recover from the damage done by the virus. Security researchers at Check Point recently unveiled a devastating vulnerability that has been affecting the file compressor software WinRAR for over 19 years – CVE-2018-20250. The file archiver is one of the most popular software of such kind, available in 46 languages, so the discovery of vulnerability is huge. According to researchers, the vulnerability can be exploited by at least 100 different exploits, which puts over 500 million users at risk. To stop the vulnerability in the unacev2.dll library from being exploited, the developers had to stop the support for all ACE format versions from build 5.70. The payload of JNEC.a ransomware is hidden inside a compressed .rar file called vk_4221345.rar which users can download from anyone on the internet. When trying to open it, they are presented with a picture (iku_m2VtkXA.jpg) of a female, although the image seems o be corrupted. This might seem like a normal behavior due to failed decompression of the archive. Victims who use vulnerable versions of WinRAR, who attempt to open the picture, will be automatically infected with JNEC.a ransomware. The vulnerability allows the JNEC.a malware to place the main executable GoogleUpdate.exe into the Windows Startup folder which consequently lets the malicious program to boot every time the operating system is launched. The encryption process of the files takes much longer than usual, as all the files are encrypted fully – meaning that all the data in the binary file are encrypted instead of a part of it. Additionally, due to the bug in the encryption process, even the JNEC.a virus authors would not be able to decrypt it. Instead, victims should focus on JNEC.a ransomware removal procedure. Those who had no backups are most likely doomed to lose their files forever, although third-party software might be helpful in some cases. Additionally, researchers might create an official decryptor, and then all the data encrypted by JNEC.a ransomware could be retrieved for free. Software vulnerabilities are bugs that allow attackers to use exploit kits to execute commands on the affected machine remotely. This means that, if you have a piece of software installed that is not patched, hackers might abuse the flaw to install malware on your system. While the process still depends on users' activities (such as downloading a file or visiting a compromised website), the software flaw is what ultimately results in system compromise. For that reason, software patches should be applied to all the installed applications as soon as possible. The best way to do so is by allowing the app to update itself – most developers implement an automatic update feature. 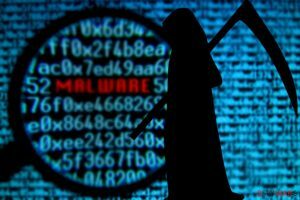 Those who have it turned off, however, not only risk of being exploited by malware authors, but also running into fake update sites that host unwanted or even malicious programs. The best such example comes from Adobe Flash Player, as hackers have been exploiting the program for years now, despite numerous patches released. 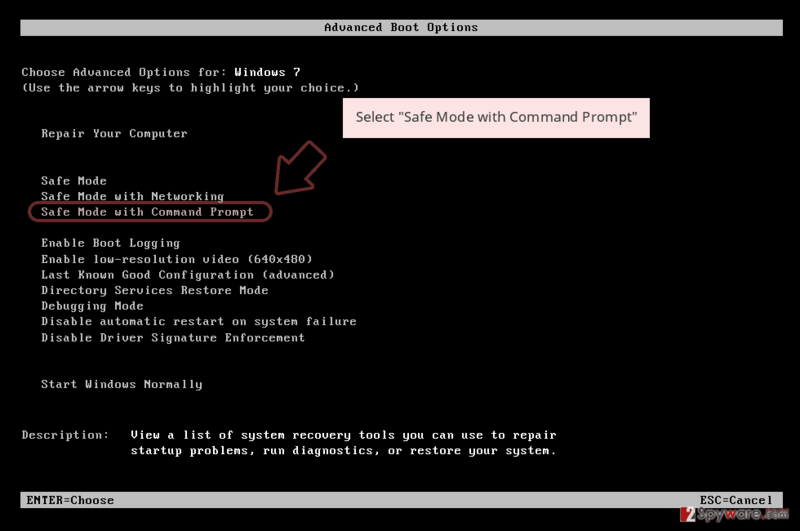 Additionally, having comprehensive security software installed is mandatory, as it can warn users of the incoming threats and prevent them from infecting the machine in the first place. Due to the nature of malware, manual JNEC.a ransomware removal is not recommended to anyone. Instead, you should make sure to install a security application that can detect the malware and eliminate it promptly. 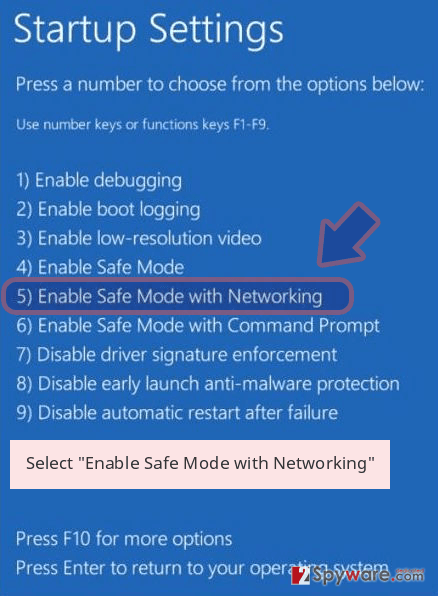 Before that can be accomplished, however, we recommend you enter Safe Mode with Networking, as the virus might prevent security anti-malware software from operating correctly. Unfortunately, there are very few chances to retrieve files locked by JNEC.a virus if you had no backups ready. Nevertheless, do not lose hope, as a recovery of at least some of your data might be possible with the help of third-party software. Check out the instructions below. Please remember that you need to remove JNEC.a ransomware before this, as all the recovered files will be repeatedly locked, rendering the recovery process useless. Log in to your infected account and start the browser. Download Reimage or other legitimate anti-spyware program. Update it before a full system scan and remove malicious files that belong to your ransomware and complete JNEC.a removal. 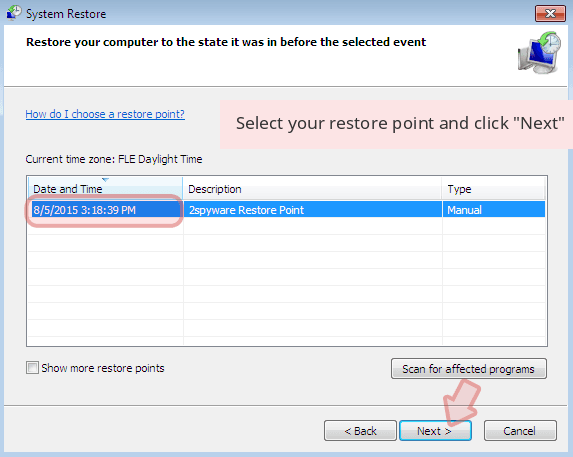 When a new window shows up, click Next and select your restore point that is prior the infiltration of JNEC.a. After doing that, click Next. 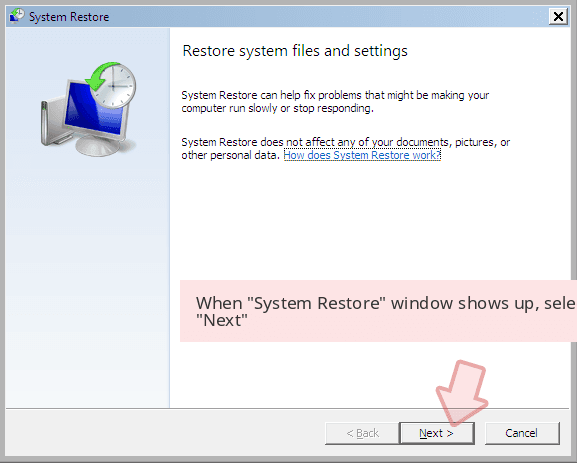 Once you restore your system to a previous date, download and scan your computer with Reimage and make sure that JNEC.a removal is performed successfully. Guide which is presented above is supposed to help you remove JNEC.a from your computer. To recover your encrypted files, we recommend using a detailed guide prepared by 2-spyware.com security experts. Paying ransom for hackers is pointless, as proved by security researchers. 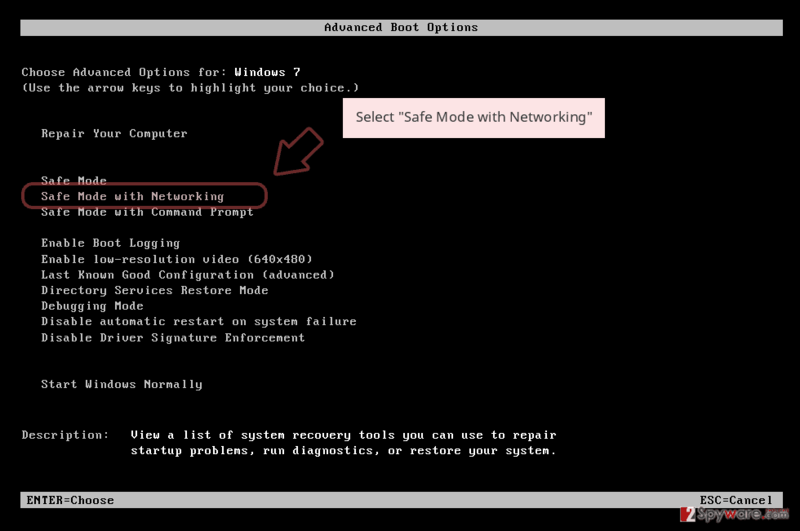 Instead, try out using third-party recovery software that might be able to help. This application is originally designed to retrieve data that was corrupted or accidentally deleted. Nevertheless, it might also be useful when files are locked by ransomware. 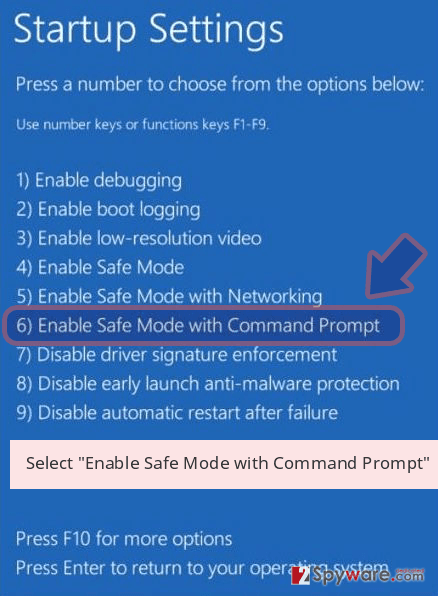 This method can only work if you had System Restore enable before the ransomware attack. If you were lucky enough and the JNEC.a virus failed to delete Shadow Volume Copies, use ShadowExplorer to recover your data. ^ 360 Threat Intelligence Center. Warning!! !Possibly the first #ransomware (vk_4221345.rar) spread by #WinRAR exploit . Twitter. Social Network. ^ JNEC.A.exe. Virus Total. URL and file analyzer. ^ CVE-2018-20250 Detail. NIST. National Vulnerability Database. ^ Craig Schmugar and Mark Olea. 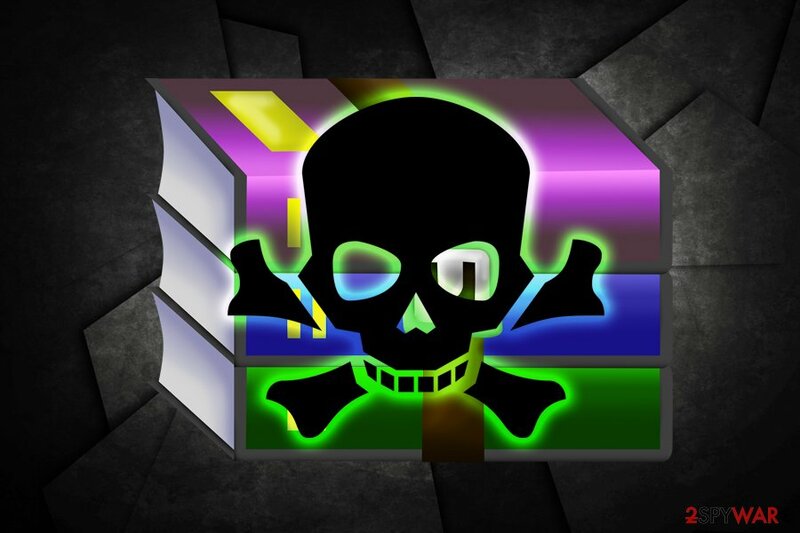 Attackers Exploiting WinRAR UNACEV2.DLL Vulnerability (CVE-2018-20250). McAfee. Security research blog. ^ Jake Doevan. Microsoft and Adobe security updates patch several vulnerabilities. 2-spyware. 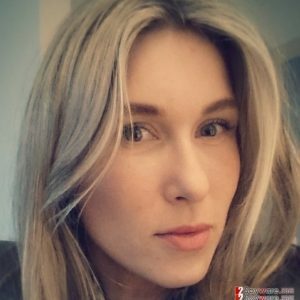 Cybersecurity news and articles. This entry was posted on 2019-03-19 at 07:10 and is filed under Ransomware, Viruses. You can quickly scan the QR code with your mobile device and have JNEC.a ransomware manual removal instructions right in your pocket. How did you remove JNEC.a virus?